Our vision is to maintain the highest possible level of personal service and support to superyacht owners, while educating and increasing awareness of vinyl yacht finishing so it becomes accepted as standard within the superyacht industry – Click on the images below to view case studies of our recent projects and learn more about our work. 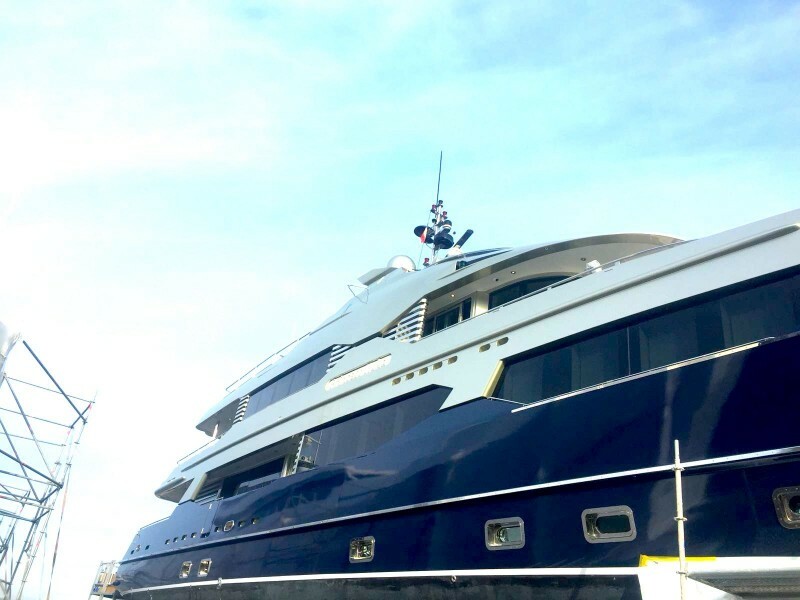 Working with the Wild Group and the vinyl material we have managed to start changing the appearance of the yacht as requested by the client and even without painting! 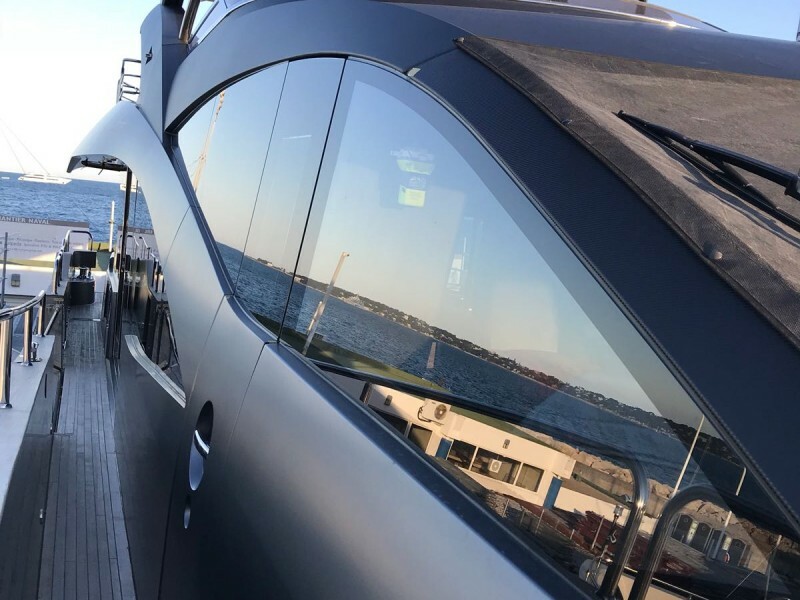 Working with the foil saves an incredible amount of time and avoids bringing the yacht into a yard at high expense and down time. 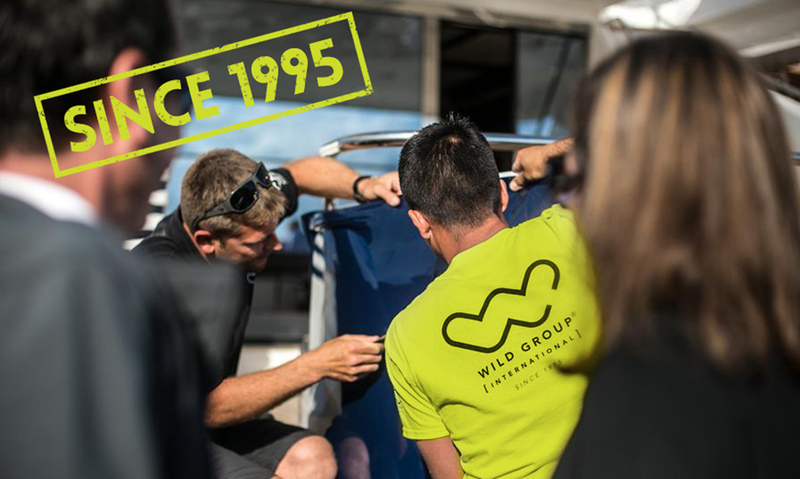 Working with the Wild group is a pleasure they are flexible and striving for the best result and client satisfaction. Thank you. 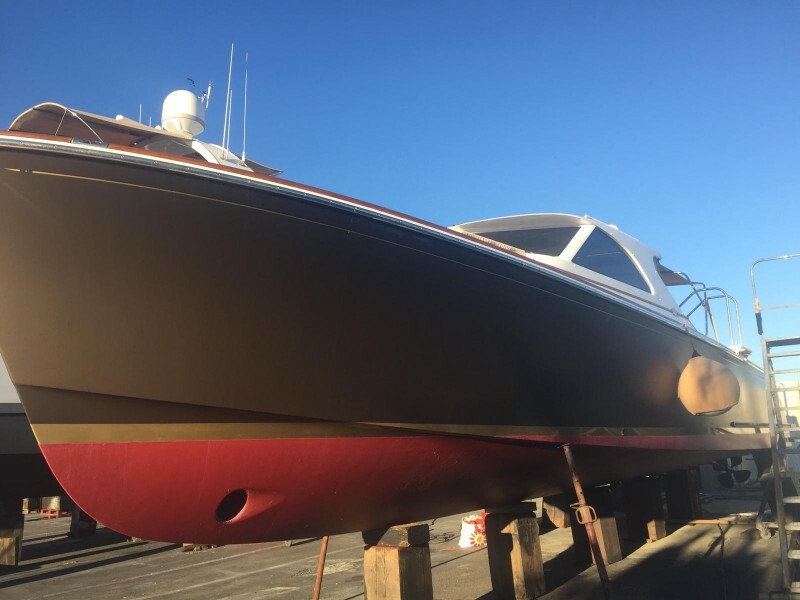 One of the many benefits of this alternative finishing method is should the yacht be sold or the owner want a freshen up, then it is very easy to remove the existing wrap and apply a new film to the yacht at a fraction of the cost of painting. 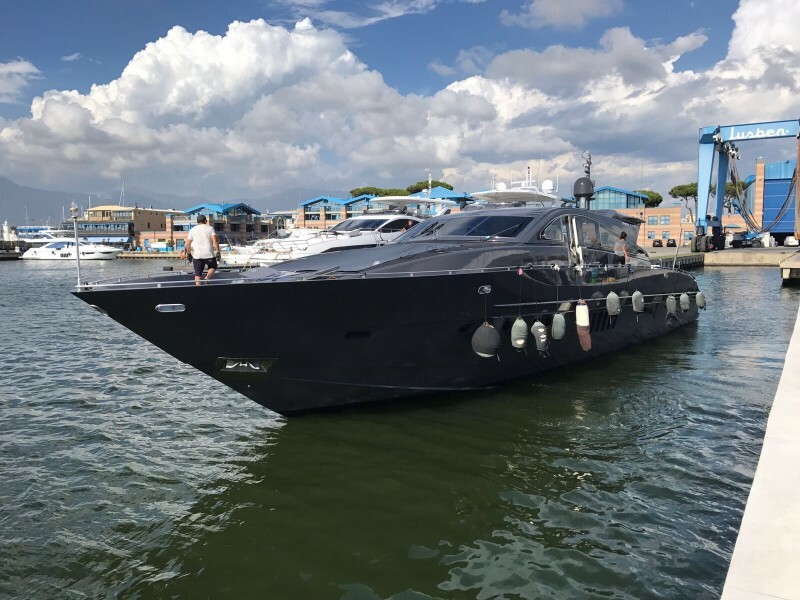 Having very little time between seasons and also between charters, the top quality vinyl finishes have proven to be the right choice for many yachts time and again. The yachts can remain in the water whilst the project is being completed and can receive a new look in just a few days size depending. 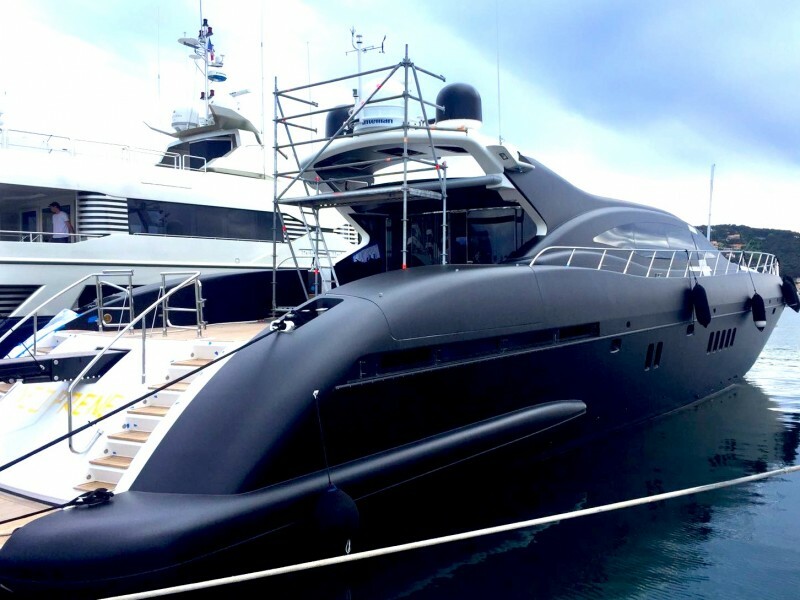 Using Vinyl Film adds personality to the yacht. 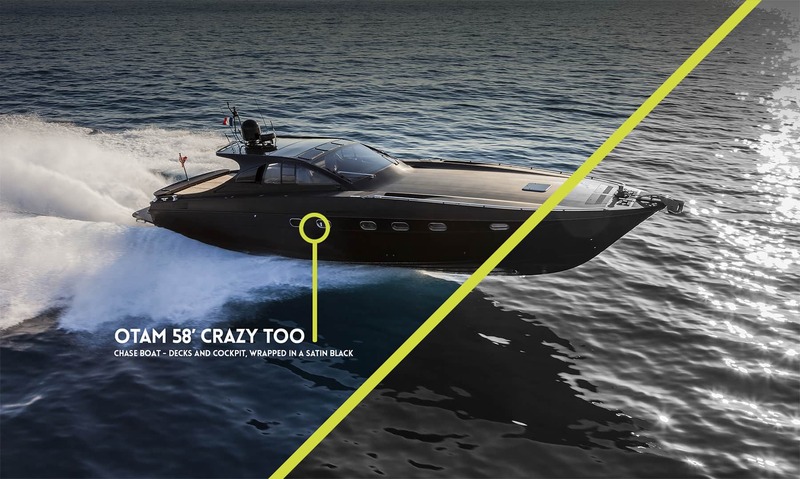 The owner can change the colour of the hull, superstructure, the texture or look of the interior, in a fraction of the time and in a more cost effective way than with any other ‪yacht-finishing‬ alternative. 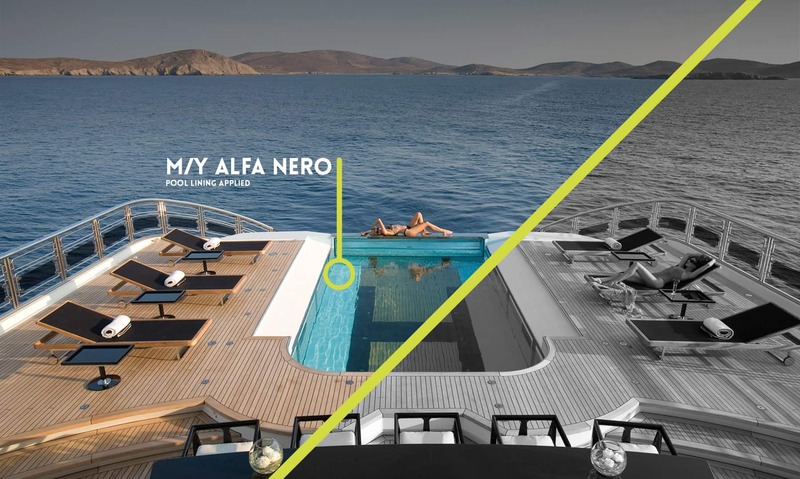 Should the current trend be bright colours for the yacht hull, but to sell the yacht, the hull is better in white, the hull can be finished in white, with the opportunity to remove the vinyl should the new buyer prefer the bright colour, widening the appeal of the yacht. 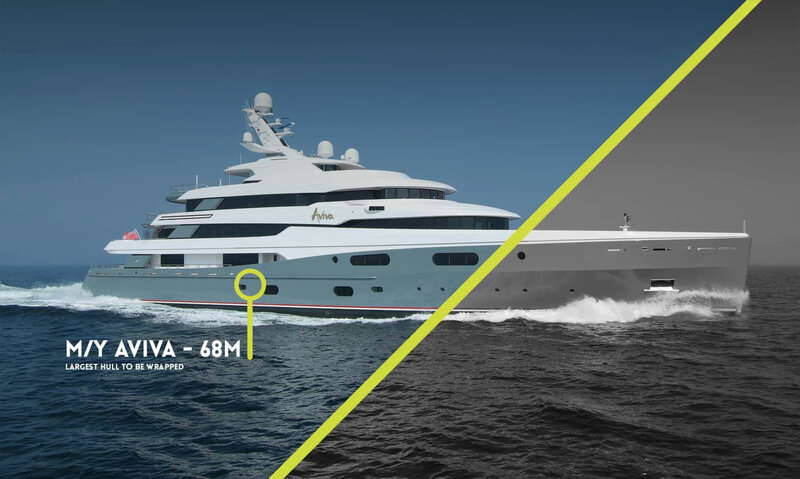 Exhaust fumes and general wear and tear can take its toll on the hull of the yacht, making it look grubby, which is not the ideal situation for selling a yacht, or marketing it for charter. 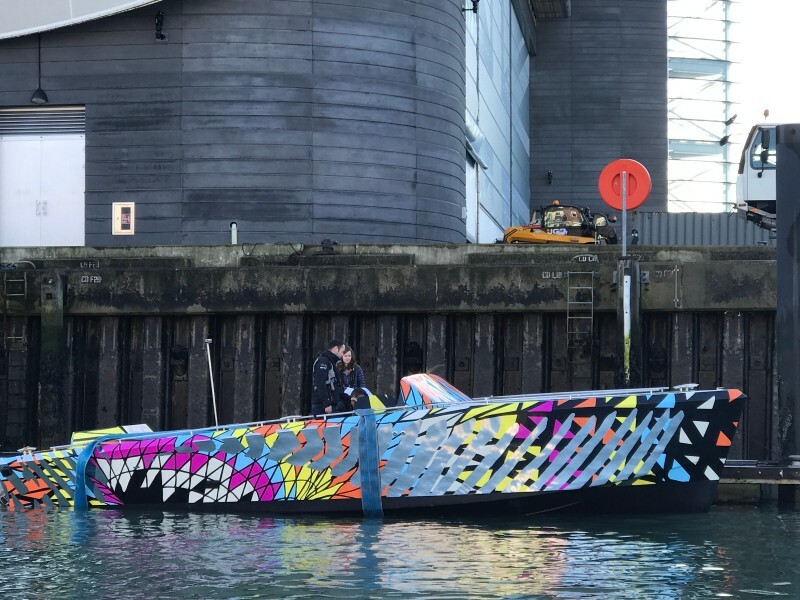 With a vinyl foil and film application, there is the option to choose any colour with the ability to reverse this, or change for a neutral, more commercial, colour, but also protect the hull of the yacht meaning that when it is time for resale, the original paint is as good as new underneath the vinyl. This increases the saleability of the ‪yacht‬ or ‪superyacht‬. With the range of foils and films our highly trained, skilled in-house fitters have available, including the superior new film to the market ‪Färben‬, yachts for sale and charter can be given that fresh look for a fraction of the cost of a full refit or paint job. Carbon, Snakeskin, Gold, Pearlescent, Matte finishes, and many more: Using Vinyl Film adds personality to the yacht. 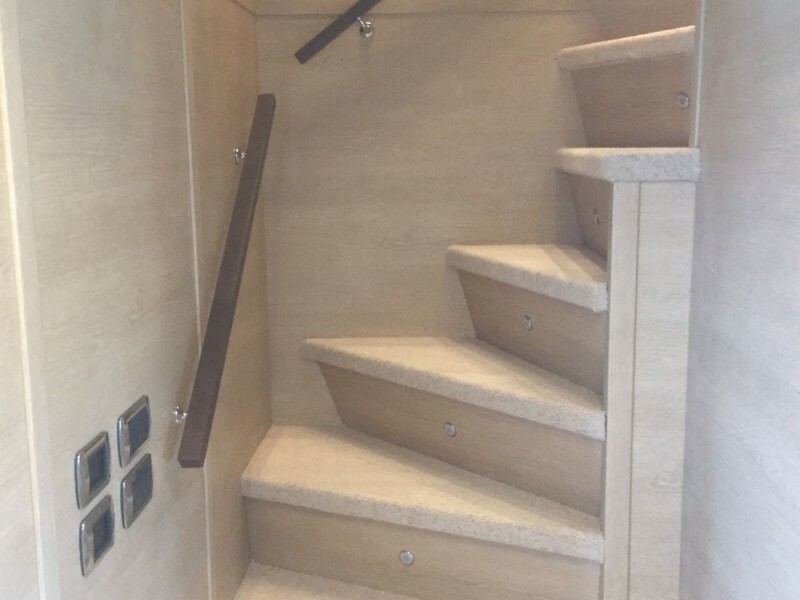 The owner can change the texture or look of the interior and/or exterior in a fraction of the time and in a more cost effective way, than with any other ‪yacht-finishing‬ alternative. It really is incredible what can be achieved with foils and films on the interior of a yacht. 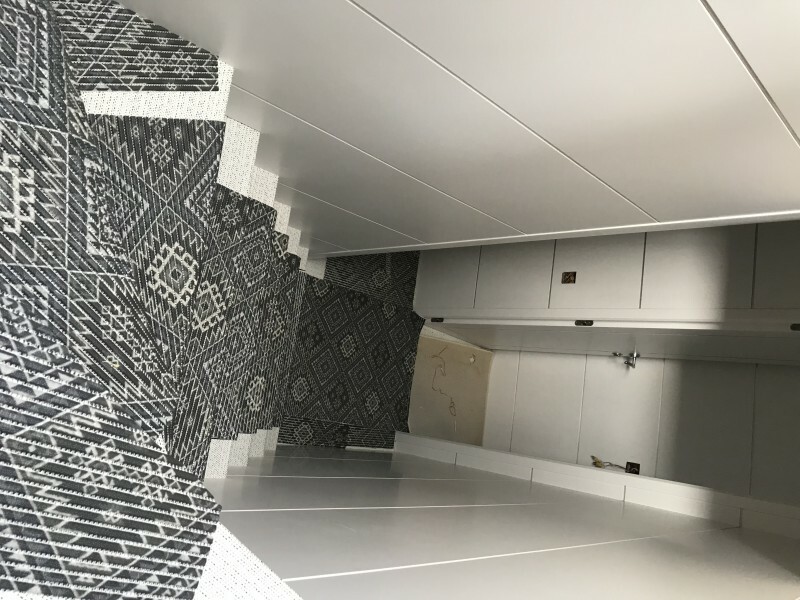 Be it a spruce up pre-charter-season or pre-the-sales-market, this is a non-disruptive way to give the yacht interior a refresh and make it an attractive offering for purchase or charter. Vinyl saves on time and costs with the ability to apply the finish without the need for costly and time-consuming tenting.